Prizes and a lot of fun! Hi, friends! 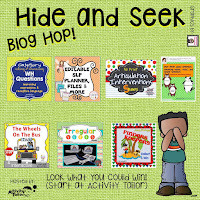 I want to thank Kim from Activity Tailor for this fantastic idea for a blog hop! See if you can figure out where we are hiding, doing speech/language therapy and sharing some useful tips! 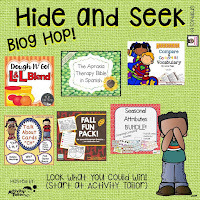 Thirteen bloggers are hiding--hiding on different blogs and hiding in the school. They're here to show you that you can (and probably do) do therapy everywhere and that each locale has it's own benefits. For all their tips, hop from blog to blog. While you're there, jot down the author's blog/school location listed at the bottom of each post to enter into Rafflecopter. 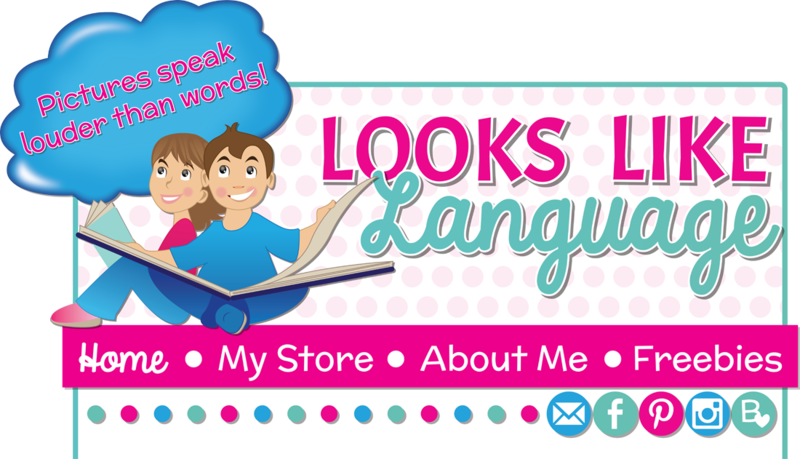 Please welcome my guest blogger, Ashley, from Sweet Southern Speech! Do any of you work with your speech kids in areas of the school NOT your speech room? Ever wonder how to integrate articulation and language goals in the gymnasium? Well, I’m going to focus this post on how to do just that! Social language is key in gym class, right? It’s all about turn taking and sportsmanship here. Often gym classes work in units. It might be helpful to talk to the gym teachers and ask for their schedule. I do this then plan my therapy in advance to best prepare them for upcoming class. 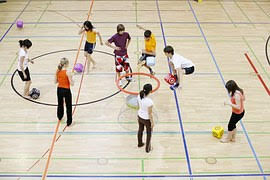 Role-playing a situation they may face in gym class is another great way to help kids. Give them some phrases like, “good shot,” “nice basket,” if they are playing basketball. Let’s say your student is not really athletically coordinated. Help them here by practicing a response if they perform poorly at a game in gym and someone makes fun of them. Working on vocabulary? Make some flash cards with words to help them. Here are some I use: (gallop, pulse, energy, sets, endurance, frequency, repetitions, intensity, nutrition, respect, teamwork, responsibility, cooperation, overhand, underhand, balance, flexibility). I find kids need a visual representation of these words, so we will do an Internet search for images and I will have the students draw their own picture and make a vocabulary notebook. 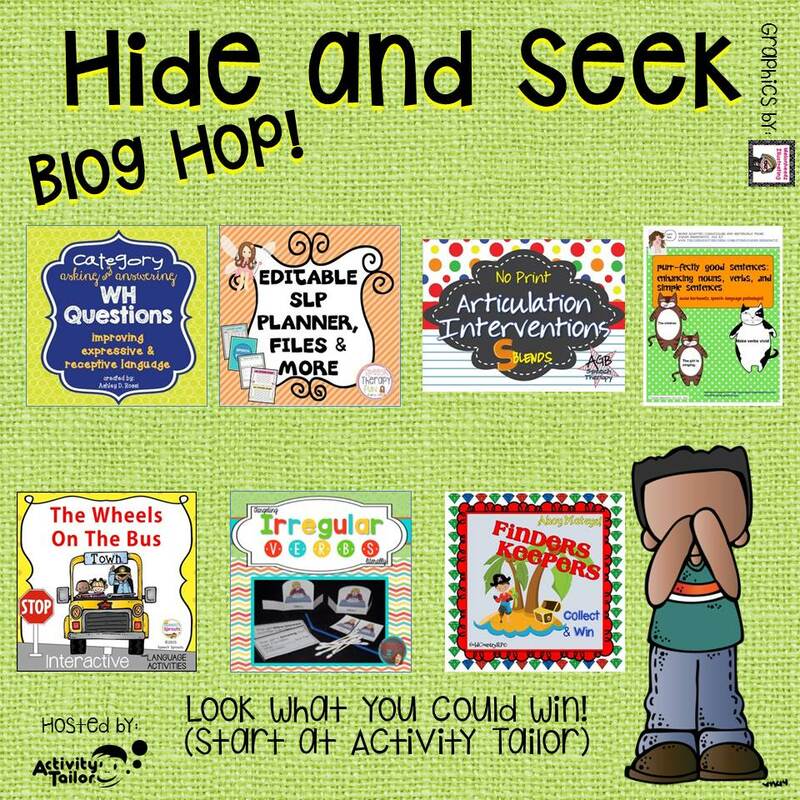 I hope this offers some ideas you can implement into your therapy sessions and sparks some ideas of integrating all areas of the school to challenge your students. Ashley’s home base is Sweet Southern Speech, but today she’s in the: GYMNASIUM! 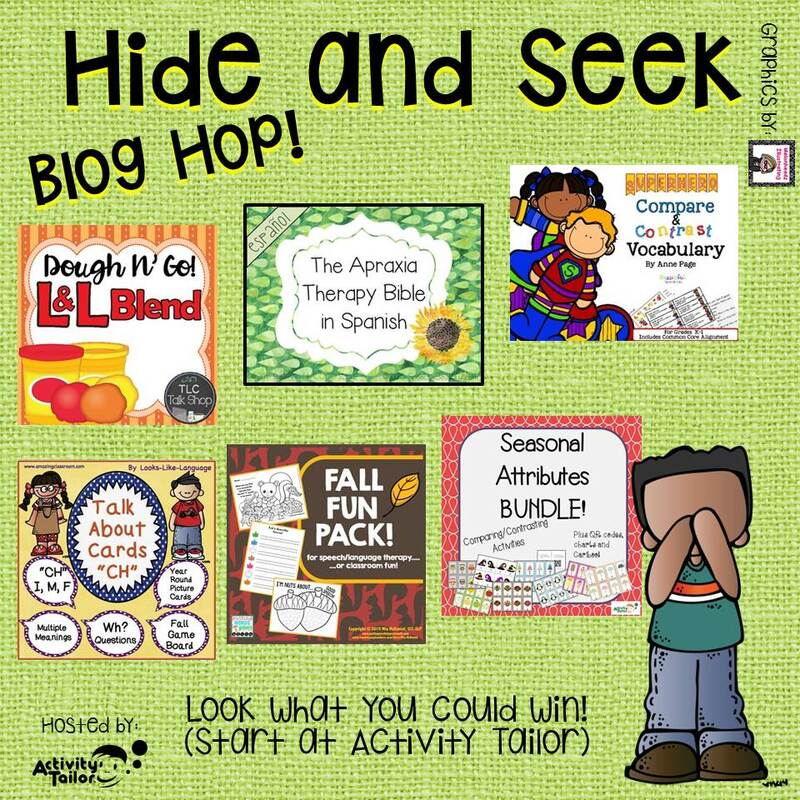 To enter the Hide and Seek Blog Hop raffle, collect the names of them here. I want to thank Kim from Activity Tailor again for organizing this wonderful fun! Have you found out where I am hiding yet? 4 Steps to Easier Speech Scheduling!